Drain maintenance is something that homeowners and businesses don’t often think about. Drain and sewer problems can be costly to repair, especially if left for too long. 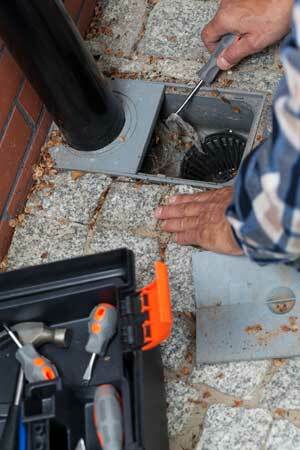 Scheduling regular sewer or drain maintenance can help to keep your drains clear and flowing free. Sinks, tubs, and toilets do not need maintenance; I leave that up to the homeowner’s discretion. Sewer lines should get snaked every 1-3 years if you have roots. Maintain the footing drains and avoid mold, property damage, water damage, flooding, and foundation problems. Window well drains – They get clogged with sand, gravel, and mortar. Failure to maintain this type of line could result in a literal concrete clog. This needs to be done as well as downspouts every 3 years or as needed. Storm Drains – Area Drains, Catch Basins, Driveway Drains, and Parking Lot Drains should usually be inspected by property owner 2 times a year and snaked every 2-4 years or as needed. Waiting until the winter time when there is an ice pond is not recommended. Calling in the spring or summer time is more feasible as the drains get clogged by sand, salt, leaves and trash which build up quickly. An icy driveway is a major accident/lawsuit waiting to happen.